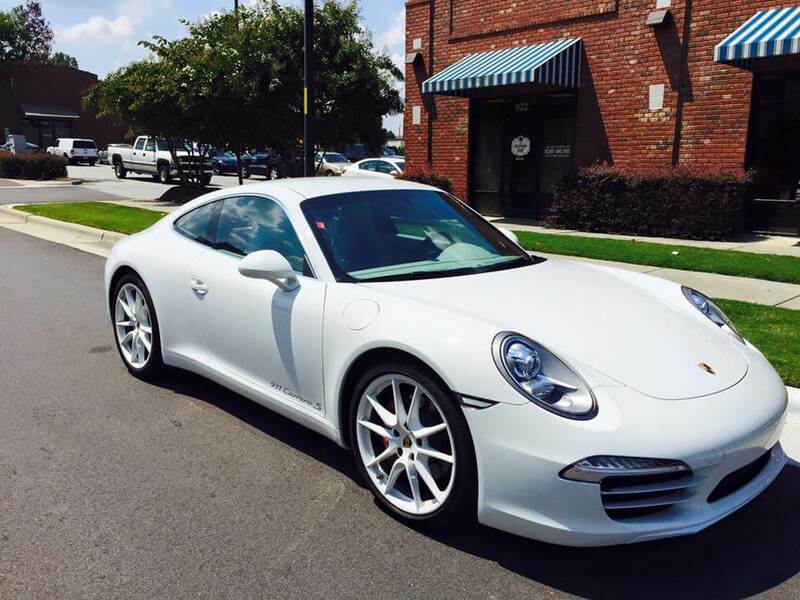 At Triangle Window Tinting, our goal is to help your business operate as efficiently as possible through window tinting services. Have old tint that you need replaced? No problem! We can remove existing window tint as well. Believe it or not, there is a science to our window tinting expertise, and our installers each have over 15 years of window tinting experience to help you choose the window film(s) that will most benefit your office building. We proudly service businesses throughout the Triangle including those located in Raleigh, Morrisville, Cary, Apex, Holly Springs, and Fuquay Varina. We carry heavy gauge film for shatter resistance, which helps prevent your office windows from shattering as a result of theft, vandalism, or an errant baseball. In fact, our Llumar anti-graffiti film is designed to provide a sacrifical, removeable film that can eliminate the need for replacing an entire window in the event of graffiti vandalism. Ask us about film that can reduce the door dings and scratches that happen with door use. 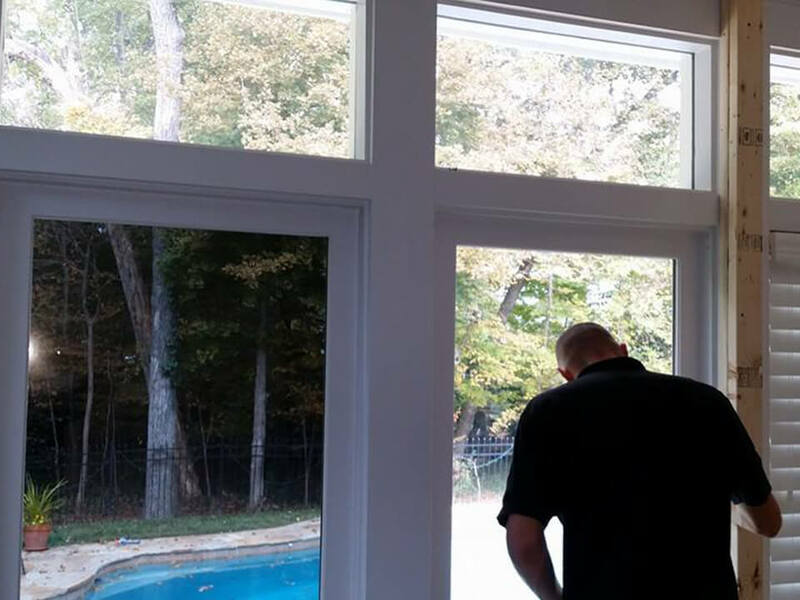 Our quality window tint is designed to keep the outside out, and the inside in. Windows are an important part of any building, from the light they let in to the landscapes they reveal. Windows may also create a host of problems such as excessive glare, heat buildup and high energy costs. Our residential film of choice, Llumar films will help you provide increased comfort and lower overall energy costs. Llumar window films can lower heating and cooling expenses by rejecting solar heat from the outside, eliminating hot and cold spots inside and helping to prevent heat from escaping. Most fabrics, furnishings and artwork can fade and be damaged simply by allowing daylight to pass through an untreated window. By blocking more than 99% of all UV rays, Llumar window film will help preserve the color of your furnishings fabrics and carpets throughout the office, and help prevent fine antiques, woods and works of art from discoloration and fading. You invest a lot of money in the appearance of the interior of your building, so make sure you protect that investment with window tinting. Open your blinds, shades or draperies and let the sun light in. With window film, you could also choose to not have those option additions because you will already have a layer of privacy and aesthetically appealing storefront from curbside to inside. Llumar window film reduces glare by up to 87% . This makes it easier for your customers to enjoy your waiting area, receive needed privacy and your staff members to comfortably work. You can choose between a variety of subtle shades that allow various amount of light in. The best part is you will begin enjoying your view even more without even knowing the film is there. We also offer tint removal services if you would like the exiting tint to be removed or replaced. Our clients include car dealerships, individuals, business owners, homeowners and commercial builders. The pictures are an example of some of our work. If there is a project you want complete, we can get it done! We are covered up to our eyeballs with full garage keepers insurance with general liability. Have you ever admired a stained glass window or etched glass design? While the effect is rich and striking, etched glass is difficult and costly to install and maintain. Altering etched glass is virtually impossible, and cleaning it can be problematic. By contrast, professionally installed LLumar decorative window films can replicate the look and feel of etched glass at a fraction of the price, and can be wiped clean with conventional glass cleaners. Although we are applying a layer of film on your window, many of the designs look like the glass is etched out or a large piece of stained glass was installed. The decorative film is by far one of the favorite options to consider if art and design peak your interest. It is also easy to change, allowing you to update your look without replacing your windows. LLumar is available in a range of finishes, patterns and colors – offering stylish, effective privacy without sacrificing natural light – or your budget. Windows are an important part of any building, from the light they let in to views they reveal. However, they also create a host of problems ranging from excessive glare, heat build-up and high energy costs to the premature fading of carpets, furniture and draperies. LLumar window film can help you control these problems while providing increased comfort and lower overall energy costs.